Since 1993, Loudoun Habitat for Humanity has helped change the lives of 38 families county-wide. We offer homeownership opportunities to families who are unable to obtain conventional house financing. Generally, this includes those whose income is 30 to 50 percent of the area’s median income. Additionally, these families contribute numerous hours of “sweat equity” on the construction of their home or another future Habitat homeowner’s home. Because Habitat houses are built using donations of land, material, and labor, mortgage payments are kept affordable. We’re addressing the affordable housing crisis in our area and creating opportunities for families to have improved housing and better lives. But in order to do this, we need community support. Less than 1 percent of Loudoun Habitat’s funds come from Habitat International. The vast majority comes from local businesses, individuals, and organizations. 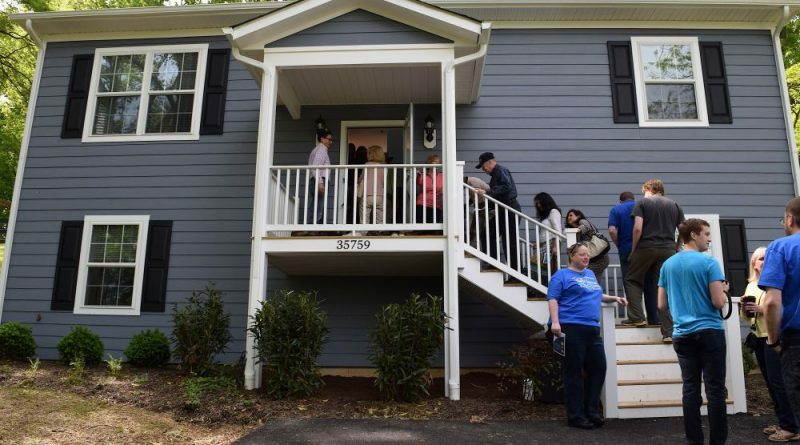 Support from the local community is essential for the success of Loudoun Habitat. If you would like make a donation, attend an event or learn how you can volunteer go to loudounhabitat.org or call 703-737-6772.